The specified file public://inline-images/https_%2F%2Fs3-us-west-2.amazonaws (1)_0.jpg could not be moved/copied because no file by that name exists. Please check that you supplied the correct filename. 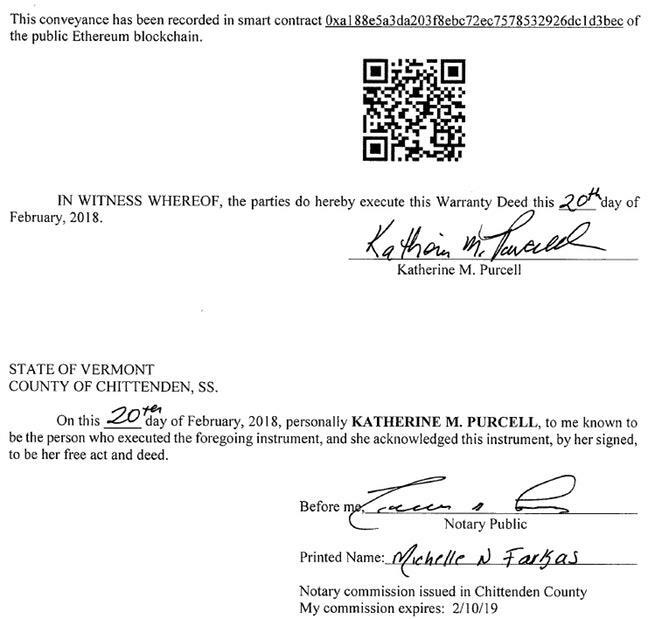 First US Real Estate Transaction In Blockchain Completed: What's Next? In October of 2017, Business Insider reported Propy Announces World's First Real Estate Purchase on Ethereum Blockchain. Natalia Karayaneva, CEO of Propy said, "This is only the beginning. With this transaction, we've broken first ground in putting the $217 trillion real estate market on the blockchain. We're starting with Ukraine, but over the coming year we plan to facilitate real estate transactions with the use of PRO tokens in California, Vermont, and Dubai." Business Insider posted this disclaimer "Propy is the source of this content." My contact says "This first deal makes it much easier for the rest of the 49 states to iterate the process. In fact, Arizona and Colorado are next."